I LOVE this time of year! Pumpkins everywhere! Pumpkin scents, pumpkin recipes, pumpkin everything!! 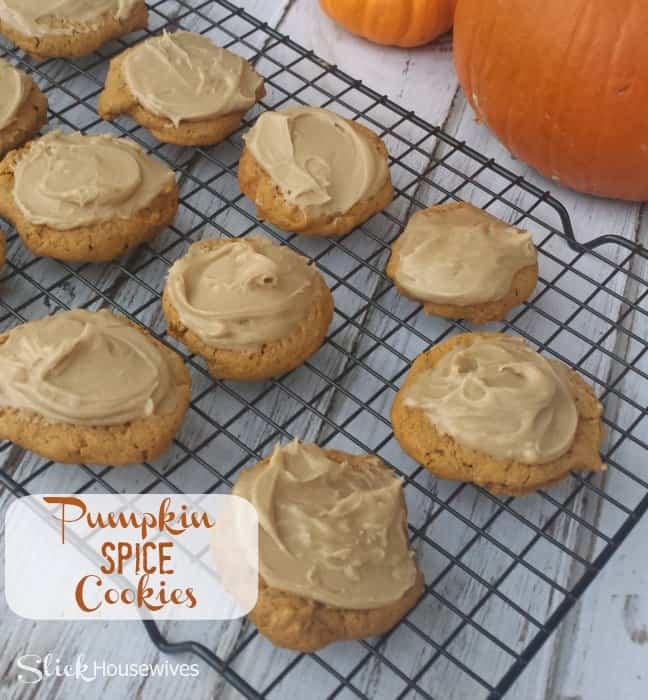 If you’re ready to get your pumpkin fix or you’re just pinning great fall pumpkin recipes, you definitely don’t want to miss this delicious Pumpkin Spice Cookies Recipe! I barely got a chance to take pictures of it before they were gone!! If you are looking for other great Cookie Recipes, make sure to check out our Christmas Snowman Cookie Pops Recipe! 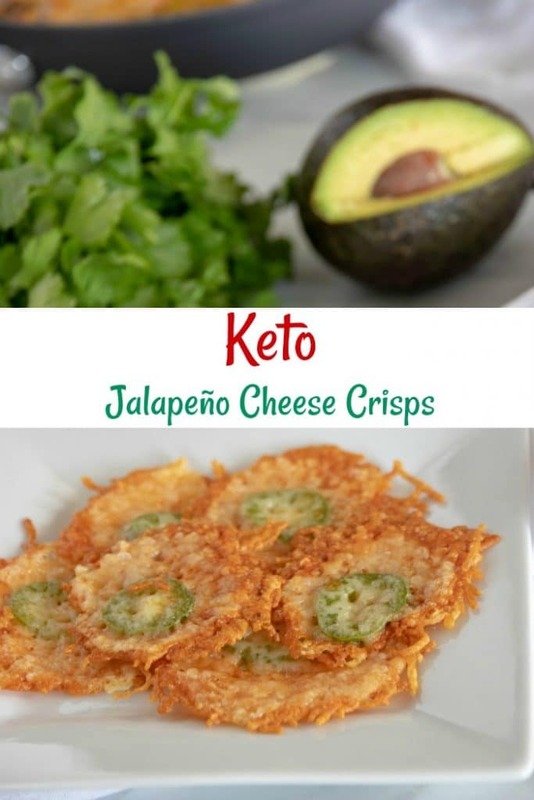 It’s a great Do It Yourself gift idea! 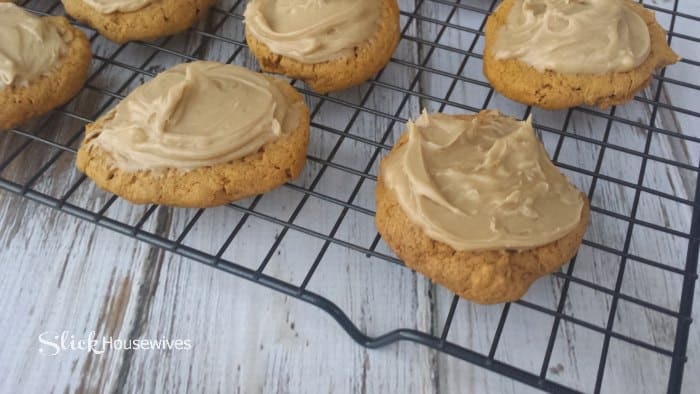 These pumpkin cookies are so soft that they just melt in your mouth! 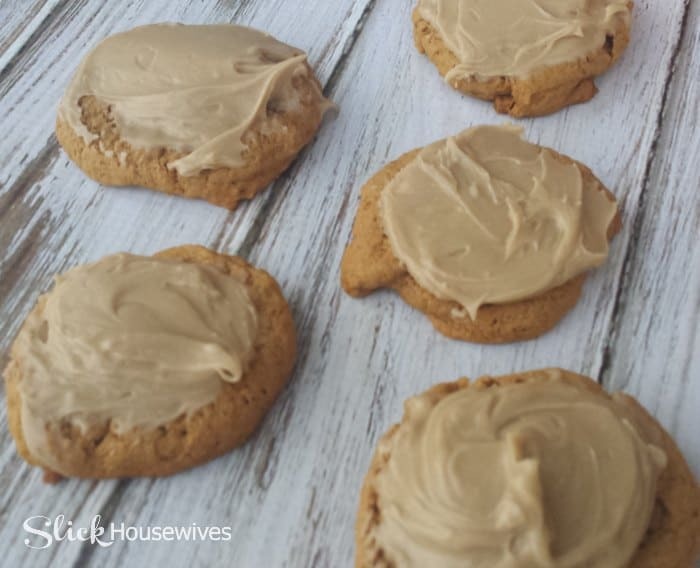 You really don’t have to use the frosting because the cookies are truly delicious on their own, but, the frosting just sends these cookies over the top!! 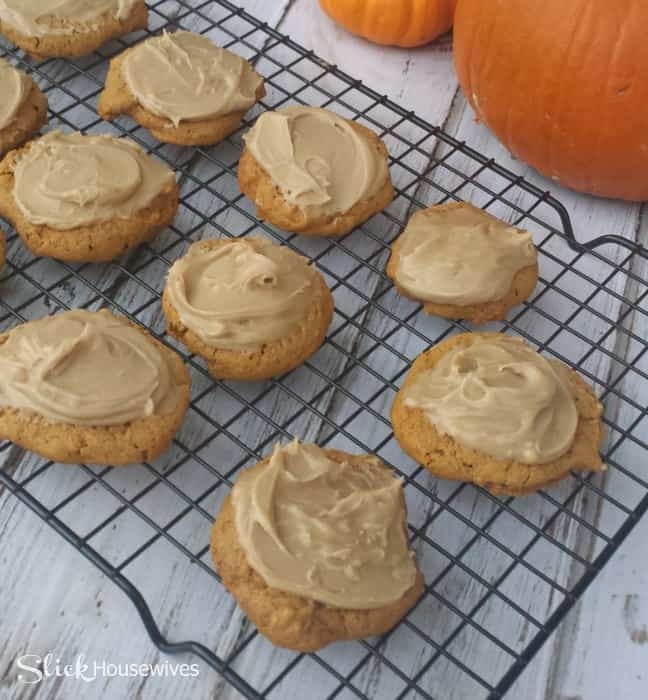 I hope you enjoy these soft pumpkin cookies as much as my family did! 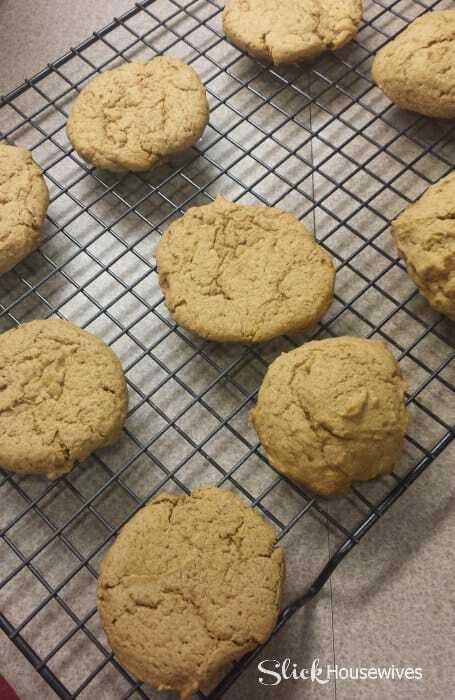 There is a printable version of the Pumpkin Spice Cookies Recipe below!! 2. In a large bowl, beat butter with a mixer on medium speed 30 seconds. Add sugar, baking powder, baking soda, salt, cinnamon and nutmeg. Beat until well combined. Add egg and vanilla until mixed well. Beat in pumpkin. Add flour and continue to mix until fully incorporated. you might need to use a wooden spoon. 3. Drop dough by heaping teaspoons 2 inches apart on ungreased cookie sheets. Bake for 10 to 12 minutes or until tops are set. Transfer to wire racks to cool. 4. For frosting, in a small saucepan heat the 1/2 cup butter and brown sugar until melted and smooth. Transfer to a medium bowl. Stir in milk and 1 teaspoon of vanilla. Beat in powdered sugar until smooth. I added some more powdered sugar to make it fimer. Spread frosting on cookies. Sprinkle with cinnamon! In a large bowl, beat butter with a mixer on medium speed 30 seconds. Add sugar, baking powder, baking soda, salt, cinnamon and nutmeg and pumpkin pie spice. Beat until well combined. Add egg and vanilla until mixed well. Beat in pumpkin. Add flour and continue to mix until fully incorporated. You might need to use a wooden spoon. Drop dough by heaping teaspoons 2 inches apart on ungreased cookie sheets. Bake for 10 to 12 minutes or until tops are set. Transfer to wire racks to cool. For frosting, in a small saucepan heat the 1/2 cup butter and brown sugar until melted and smooth. Transfer to a medium bowl. Stir in milk and 1 teaspoon of vanilla. Beat in powdered sugar until smooth. I added some more powdered sugar to make it firmer. Spread frosting on cookies. Sprinkle with cinnamon!